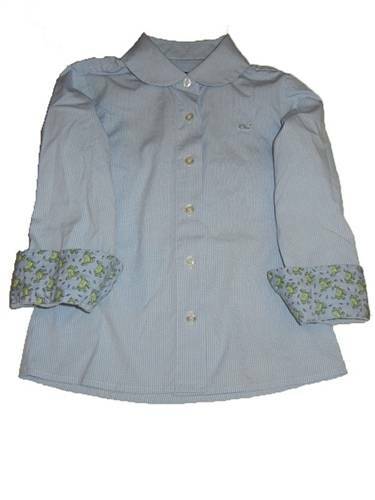 Long sleeves shirt with Peter pan collar. Contrasting fabric at turn cuff. Front button closure. Allover Stripes. Light Blue.